Can you find all the problems with this main electrical panel? I’ll list just a few: Single strand aluminum wires used for the branch circuits, wires spliced/reduced to fit the connectors, double tap, and … there are more! Call a qualified electrician and have these issues fixed; now! 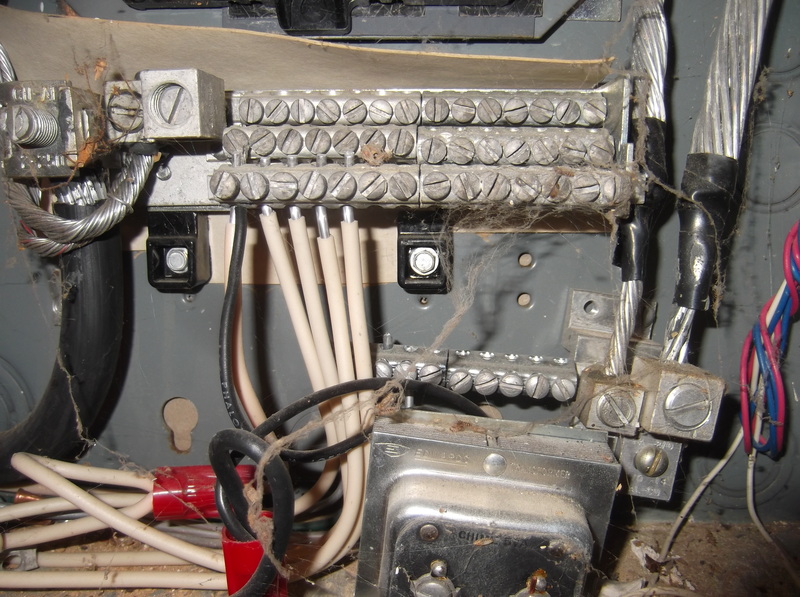 This entry was posted in Uncategorized and tagged Electrical safety. Bookmark the permalink.